Miracles are happening and everything is moving forward at warp speed. This includes wonderful positive changes associated with the New Earth as well as the intensified purging of the residue of negative patterns from the obsolete old Earth. It is vital that we all remember “WHERE OUR ATTENTION IS, THERE WE ARE.” Whatever we are focusing on with our thoughts and feelings we are empowering and sustaining in our lives. So PLEASE stay focused on the Light and what you want to cocreate in your life experience. Move away from fear and into happiness and Love. This is a conscious choice you can make moment by moment. It is time for all of us to fulfill our purpose and reason for being. We each have the innate ability to hold the sacred space for Humanity’s recalibration into the patterns of perfection for the New Earth. That is why we volunteered to embody on Earth during this auspicious time. When I say “WE” I am referring to YOU and every awakening person on Earth. Eventually, this will involve every man, woman, and child, but until the masses complete their awakening process, you and I and Lightworkers around the world have the critical responsibility of being our brother’s and sister’s keeper. After all, WE ARE ONE. The 5th Dimension is a frequency of Light that transcends separation and duality. Within this higher frequency of vibration the gross mutations of disease, poverty, hunger, war, greed, hatred, or pain and suffering of any kind cannot be sustained. The 5th Dimension is a timeless, spaceless frequency of God’s Infinite Light and Perfection. It is the frequency that we have always known as the Heavenly Realms. Now with the Shift of the Ages God Victoriously accomplished, the Heavenly Realms have Ascended up the Spiral of Evolution into the 6th-Dimensional Realms of Light. 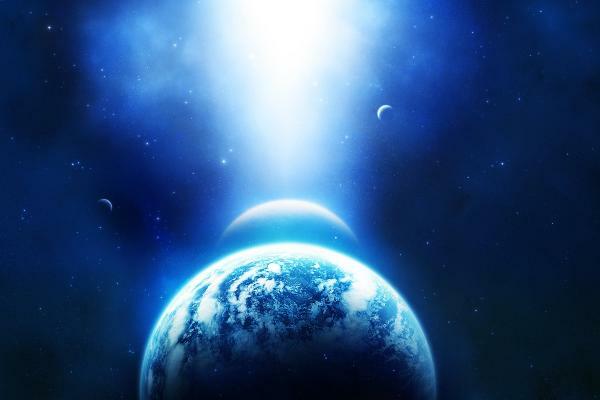 The Company of Heaven is asking Lightworkers to gather within the portal of the most powerful frequencies of our Father-Mother God’s Transfiguring Divine Love on Earth. This portal is in the foothills of Tucson, Arizona. Together we will form a mighty transformer through which the Light of God will flow to accelerate the process of tangibly manifesting the patterns of perfection for the New Earth in the physical world of form. the Closing Ceremonies on Thursday, August 15th by 2:00 p.m. This sacred conclave will be a celestial experience for everyone involved. Each day, as we successfully fulfill one phase of the Divine Plan, the Spiritual Hierarchy will reveal the next phase of the plan to us. As we sojourn through the various activities of Light, under the Divine Guidance of our Father-Mother God and the Company of Heaven, our mission will be victoriously accomplished. The Divine Plan we are being called to fulfill will be accomplished through myriad activities of Light. We will be joined at inner levels by the Solar Logos from Suns beyond Suns, the entire Company of Heaven, the God Selves of ALL Humanity, the Divine Intelligence that directs the Elemental Kingdom, the Mighty Elohim, and the Legions of Angels throughout Infinity. This wonderful resort is giving us a great package rate that includes a beautiful room with two double beds and two delightful meals a day. One meal will be a substantial breakfast, and the other meal will be either lunch or dinner, depending on our planned activities. The package rate includes all taxes and gratuity. As a special gift, the hotel is allowing us to have up to four people in a room. Your WCI Registration Fee includes ALL of the activities at the World Congress: Speakers’ Presentations, Meditations, Music Concerts, Dance Presentations, Social Events, and all other Group Activities. We are offering a discount of $150.00 for those who register by April 1, 2013. We are also offering a discount of $100.00 for those who register by May 1, 2013, and a discount of $50.00 for those who register by June 1, 2013. After June 1, 2013, registration will be full price. Registrations must be paid by July 10, 2013, to ensure your space. After that date, reservations will be accepted on a space-available basis.